The Britannia Medal Fair has been in existence, in one form or another, for over 25 years and is now firmly established as a favourite on the 'circuit'. It has just been announced that the Britannia show will live on - this is thanks to the efforts of auctioneers DNW who have taken over the event and will run it as a non-profit venture just to ensure it survives! This is especaillay important as, unlike so many other fairs up and down the country every weekend Britannia is a purist medal show, you won't find any guns, ammunition, knives, helmets or uniforms on offer at Britannia - just medals, medals and more medals - maybe with a few books on medals thrown in too! Held in the Carisbrooke Hall at the Victory Services Club (VSC), Seymour Street, London (just off Marble Arch) the fair was taken over by the MEDAL NEWS team in March 2009 after the previous organisers decided to call it a day. The inaugural show was a great success and it looks like Britannia is back with a vengeance. Currently there are plans for two shows a year - one in March and one in November - although that may change in the future - check back on this page for updates! Many people have argued that in this day and age - with so much being traded on the internet - the Medal Fair is a relic of the past - why bother getting up early and making a tiring journey when you can collect from the comfort of your home? That may be true but for many there can be no substitute for getting out there and actually handling the medals before you buy them. There can be no substitute for examining the medals first hand, checking the naming, feeling their weight, just "knowing" that they are right. You can't get that feeling from a picture on a screen or a description in a catalogue, you only get it by being there with the medals - there really isn't a substitute for actually holding that little piece of history in your hands. Of course there's no real substitute for actually meeting, and talking to, fellow collectors either. Other media are great for keeping in touch but nothing beats that face to face time with people just as crazy about this hobby as you are! The Britannia show is a fantastic place to come and meet some of those crazy people - with free parking in most of the side streets on a Sunday and easy access from Marble Arch tube it's not a chore to get to and the catering facilities are excellent (or there are pubs and restaurants close by where you can grab a bite to eat the cuisine at the VSC doesn't appeal!) Ex and current servicemen and women can also avail themselves of the Club's facilities at preferred rates if they so wish - so why not come down the night before? Apparently they have and fabulous breakfast on offer! Britannia is the medal show to go to and whilst we are no longer the organisers we'll still be there and still want to support it, we hope to see you there - check our news page for dates and lists of dealers attending. The date for the next show is Sunday November 18 starting at 9.30am and ending at 2.00pm it has recently been announced that it will be run by auctioneers DNW as a not for profit venture forteh good of teh hobby with Mark Carter, who many of you will know from his other fairs, Aldershot, Yate and Stratford, organising teh event on the day! 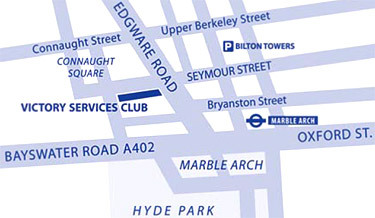 You can find the Medal Fair at Carisbrooke Hall at the Victory Services Club (VSC), Seymour Street, London (just off Marble Arch).